The virtualization of IT infrastructure enables consolidation and pooling of IT resources so they are shared over diverse applications to offset the limitation of shrinking resources and growing business needs. Virtualization provides a logical abstraction of physical computing resources and creates computing environments that are not restricted by physical configuration or implementation. Virtualization is very important for cloud computing because the delivery of services simplified by providing a platform for optimizing complex IT resources in a scalable manner, which makes cloud computing more cost effective. Hypervisor plays an important role in the virtualization of hardware. This software provides a virtual hardware to support running multiple operating systems concurrently using one physical server. 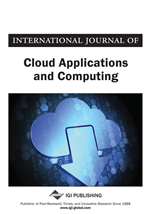 This research quantitatively and qualitatively compares the performance of VMware ESXi 4.1, Citrix Systems Xen Server 5.6 and KVM Hypervisors using standard benchmark SPECvirt_sc2010v1.01 formulated by Standard Performance Evaluation Committee (SPEC), which generate various Workloads simulating real life situations. Server racks on which several servers are mounted. Uninterruptible power supply (for short-term power outage). Gasoline/Diesel Backup Generator (for long-term power outage). Large server farms consume a lot of electricity. Due to the increasing price of electricity, server hosting businesses have started to gain lower profits. Each individual server in a server farm could be underutilized, causing wastage of valuable IT resources. To address the two issues, a recent technology that has gained popularity is the cloud computing. The core technology that has made cloud computing possible is the hardware virtualization. This piece of the technology is called the Hypervisor. Cloud computing utilizes advanced high power server systems with large amounts of memory, storage and multiple processors. Hypervisor creates multiple virtual servers within a single physical server. Each virtual server could have its own Operating system (OS) installed. Many virtual servers can be operated simultaneously and independently of each other. Hypervisor enables the pooling of the processor and memory resources. Installing a Hypervisor on the host server enables it to run multiple operating systems simultaneously using virtualization. By using server virtualization, the number of physical servers could be reduced significantly. ”Virtualization is a technology that combines or divides computing resources to present one or many operating environments using methodologies like hardware and software partitioning or aggregation, partial or complete machine simulation, emulation, time-sharing, and many others” (Nanda & Chiueh, 2005).The different Virtualization levels of abstraction are Instruction set level, Hardware abstraction layer (HAL), OS level (system call interface), User-level library interface, or in the application level (Nanda & Chiueh, 2005). Virtual machine represents an operating environment for a set of user-level applications, which includes libraries, system call interface/service, system configurations, daemon processes, and files system state (Nanda & Chiueh, 2005). Hypervisor is a hardware abstraction layer virtualization. The general phenomenon is the same at any levels of virtualization that is it partitions the lower-level resources using some novel techniques to map to multiple higher level VMs transparently (Nanda & Chiueh, 2005). Type 1 Hypervisor which runs directly on the system hardware. This is also known as bare metal approach Hypervisors. Type 2 Hypervisor which runs on a host operating system which provides virtualization services such as I/O and memory management. This is also known as hosted approach Hypervisors.